Not Just Your Average Monday. 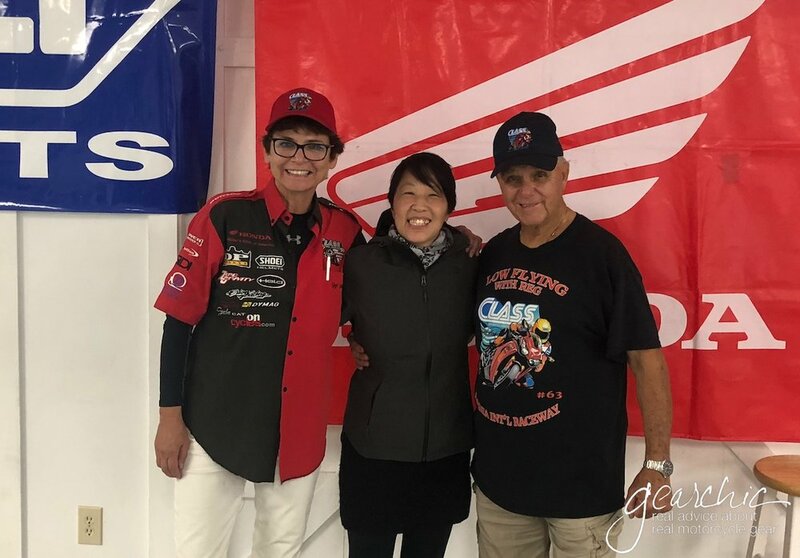 Earlier this week I had the honor of attending back to back track days with my friends at Reg Pridmore’s CLASS Motorcycle School. I attended a special, unique event earlier in April just for women riders but this one was one of their regular 2 day events at VIRginia International Raceway in Alton, VA. My husband and I loaded up our bikes on the RevZilla Trailer (#IloveMyJob) and drove out Sunday, October 14th. Here I am dancing with our bikes? We rented one of the fancy garages at the track and made our home for the next 2 days. Tool box (we have this one from Sonic). Of course we didn’t use everything but it does have some nice moto specific tools that can come in handy. I mainly used the tools to remove my mirrors, reinstall them afterwards and tighten up some loose ends. Oh and did I mention that because we went to the South Course on Day 1 (not North as planned), we had to leave our cozy paddock behind! So we managed all day without anything with us, and relied on track friends to help us out. In retrospect I could’ve used extra fuel, but there was a Sunoco station on site, just on the other side of the parking lot. This was the first track day where my fuel light actually went on at the end of the last session! We got in Sunday night a little late but stayed up to tape up our headlights and turn signals. You didn’t have to take your mirrors if you didn’t want to but I found them distracting and they were easy enough to remove. This is why you need duct tape and painters tape, so you can make eyes! Let’s just say my husband’s creativity inspired me. Remember to never directly apply duct tape to your lights and mirrors, you want to use painters tape first and then you can go crazy with funny colors and what not. 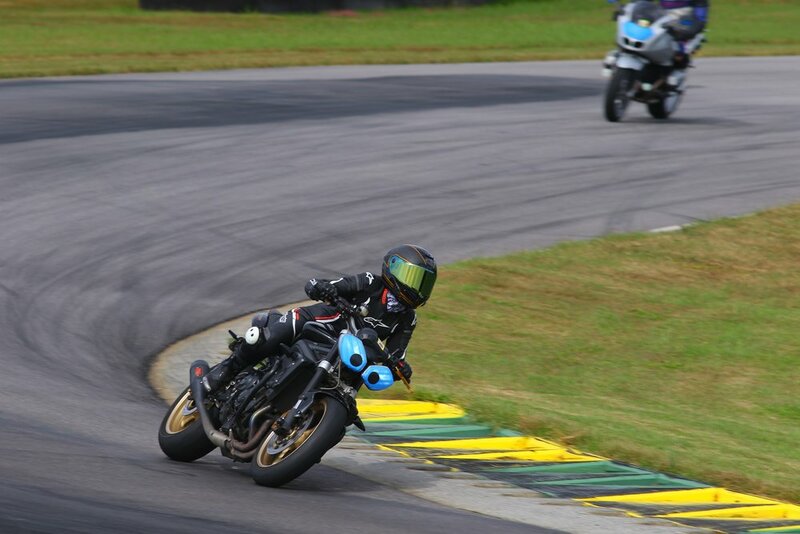 Although Hurricane Michael hit the weekend before, we had the privilege of riding both courses at VIR; both the North and South Courses. Originally we were only supposed to ride the North Course but it just worked out that we were able to do South on Day 1 and North on Day 2. The South Course was a shorter, slower paced track. The upside to this is that I got to do more laps than I normally would have. The schedule for CLASS was a little different than track days I’ve done in the past with other organizations. As with every track day, the day started first thing (7:30am-8:00am) with Check In and Tech Inspection followed by a safety meeting where rules and information for the day was presented and shared by Reg’s team. These rules were imposed on both groups, regardless of experience level or training so you know that everyone is on the same page and things will go as safely as possible. I can feel the instructor’s (orange shirt) eyes on the back of my head watching my pitiful form. I found this message to be comforting, empowering and set a positive tone for the riding ahead. 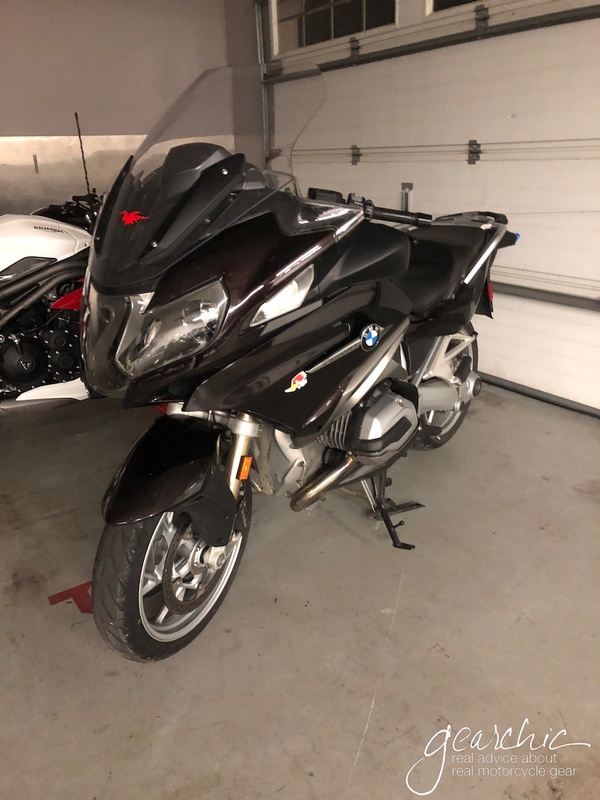 One of the many personal rules I have about riding motorcycles is not riding in large groups of strangers (outside the confines of an organized, training ride with a dedicated riding organization e.g. large public rallies and parades. It simply makes me nervous because out on the street, the training and riding environment is vastly different. When a group of riders are at the track together, we’re generally on the same page. We know we’ve come here because we know it’s safer, and our environment is controlled and organized in a way that cannot be matched to a track day. I always feel 100% safer on the track than I do on the street. As the day went on, I found myself finally figuring out this track and feeling the most confident at of course, the last lap. It took me all morning and afternoon to get my lines just right. And as much as I wanted to get my knee down, I decided to shift my focus on hitting my apexes just right and keeping my line tight, not wide because on the street that can be a very dangerous outcome. (Imagine going wide on a 2 lane, 2 way road over the double yellows!) I finally started feeling more confident to take my lines tighter and get over my fear of going wide. Trying my best to hug those apexes and keep a tight, inside line per the Mantra of Reg Pridmore. There were only two groups, A and B. A was for Advanced Pace and B was for Relaxed Pace. I started out in A the first day on the South Course. Although I did fine in that group I wasn’t feeling comfortable with the pace of the other rides so halfway through day 2, I opted to ride in Group B. The group was smaller, so more room and more laps! I hardly ran into any traffic and it felt like I had the track to myself. I also had lots of opportunities for coaches to follow me and for me to follow them. Pretty much every session, there was a coach available if I needed help. There was also a small Triumph contingent, which was also comforting. You might be able to see in the background, that there were quite a few non traditional sportbikes that attended too! And yep, they also fully attended both days. SEEE?? Track Days aren’t just for Sportbikes! It’s for everyone, anyone. It’s all about finding the right one for you, and contacting local track schools to see if their program fits in with your goals and objectives as a rider. I have a list on my website here, of advanced, nontraditional track day training around the country that I highly recommend. But if you do some searching online I’m sure you’ll find local schools that will be more than happy to provide you advanced street training on the racetrack. Or, sign up for a class with Reg and Gigi and tell them I sent you! For more information on CLASS Motorcycle Schools including dates and prices, visit their website: ClassRides.com. You can also find them on Facebook and Instagram. Shoutout to Shoei Helmets and Honda for sponsoring CLASS and making sure that the instructors have the best helmets and bikes as well.